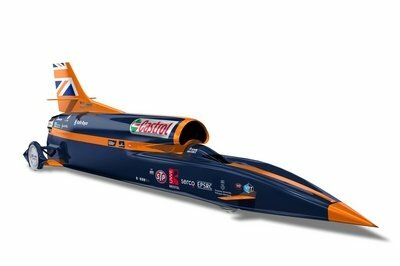 The folks behind the 2014 Bloodhound SuperSonic Car (SSC) have announced that the rocket- and jet-powered ground-bound missile they’ve concocted will make its official world debut this November with a trial run at Newquay Aerohub in Cornwall, England. The British team will run the car up to 200 mph in preparation for high-speed testing next year, with the ultimate goal of setting a new world land speed record at an anticipated velocity of 1,000 mph. After its debut in Cornwall, the car will be fitted with airbrakes and winglets and moved to Haskeen Pan, South Africa, for testing. There, the car will eventually make its record-setting attempt on a recently cleared track that’s 12 miles long and 2 miles wide. A forward party will be deployed next spring to help prepare the team’s desert base. So far, it’s reported that development and construction is progressing well. The Bloodhound team says that the car’s titanium floor has been fitted, its 2-meter- (6.7-foot-) high tail fin is nearly finished, and its carbon-fiber monocoque is painted to aerospace standards. Further details on the car’s configuration will be released in August when it will be shown in “highly assembled form” at the team’s technical center in Avonmouth, England. Seriously? You’re browsing TopSpeed.com and you’re wondering why a land speed record machine matters? 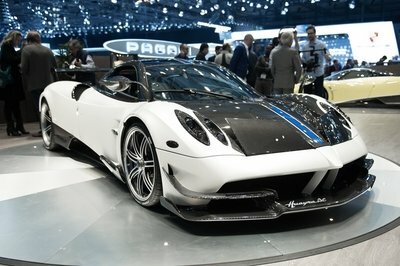 So far, we know the car will be powered by three engines – first, a prototype Rolls-Royce Eurojet EJ200 jet engine with afterburning turbofan (a unit originally developed for the Eurofighter) will take the car up to 300 mph, at which time a custom Nammo HTP hybrid rocket will get lit and boost the car up to the target 1,000 mph. Finally, a supercharged V-8 ICE from Jaguar Land Rover will be used as an auxiliary power unit and will drive the oxidizer (fuel) pump for the rocket. 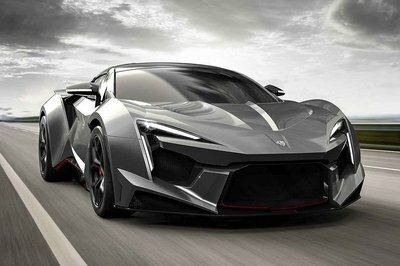 All told, the car will produce the equivalent of 135,000 horsepower – more than six times the power of all the cars on a Formula 1 grid combined. All told, the car will produce the equivalent of 135,000 horsepower – more than six times the power of all the cars on a Formula 1 grid combined. At speed, it’ll cover a mile in just 3.6 seconds. 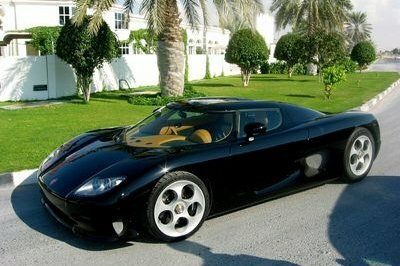 It’s calculated that the car will take 55 seconds to reach the 1,000-mph mark. The V-8 support comes from a specially prepped 2014 Jaguar F-Type R Coupe, which in addition to powering the oxidizer pump, sees employment in a test vehicle and rapid-response vehicle. Past tests have included high-speed testing of comms equipment, as well as a stress test of the parachute that’ll be used to haul down the Bloodhound SSC after the air brakes slow it to 600 mph. Manning the helm for the new record attempt will be RAF Wing Commander, current land-speed record-holder and all-around badass, Andy Green. Green set the current record of 763 mph when he drove the Bloodhound’s predecessor, the Thrust SSC, across the Black Rock desert in Nevada in 1997, becoming the pilot of the first car to officially break the sound barrier. Now, here we are, nearly two decades later, and if everything goes according to plan, the new record will best the old by 33 percent, the biggest margin ever in the record’s history. I can’t wait to see this machine in action. 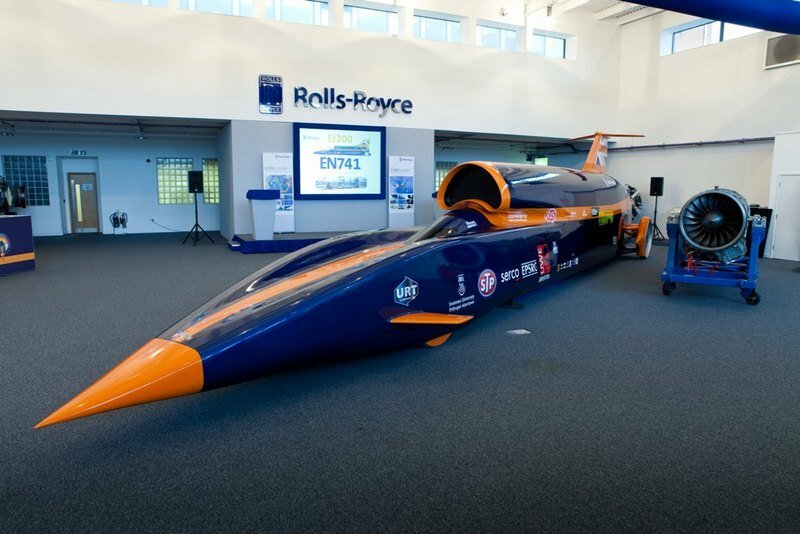 BLOODHOUND SSC (SuperSonic Car) will make its world debut on November 17th 2015 with a 200mph trial at Newquay Aerohub, Cornwall. The results from the Summer 2016 tests will inform the Project’s ultimate speed goal of setting a new World Land Speed Record of 1,000mph. 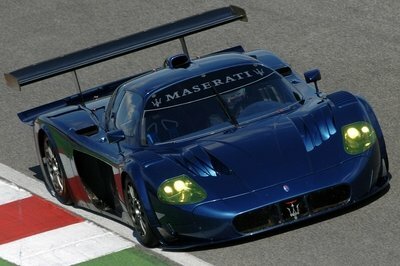 Construction of the Car is well advance with its titanium floor fitted, two metre high tail fin nearly finished, and carbon-fibre front monocoque painted to aerospace standards. Regular updates can be seen here on our website and on Twitter at @BLOODHOUND_SSC. The BLOODHOUND Project is now one of the world’s biggest STEM engagement programmes (Science, Technology, Engineering and Mathematics), with c. 100,000 children per year enjoying BLOODHOUND activities and lessons in the UK alone.